At Adventist Health System, we’re united by a commitment to provide whole-person care to those we serve. As a team, we share compassion and a spirit of service with one another and with our patients. If you’re looking to join a team where you can use your gifts and passion to serve others, you have a place here. Search our jobs or get to know some of the job opportunities we have available today. Our Speech Pathologists assess, evaluate and plan services for patients with communication, cognitive and swallowing disorders. You’ll fit right in as someone passionate about education and the healing power of whole-person care. We require a Bachelor’s Degree but prefer a Master’s. Learn more. Often, to an ICU patient’s family, a trusted presence and encouraging words can provide much-needed assurance during a difficult time. Be that and more as a night ICU RN at Adventist Health Simi Valley. Learn more. 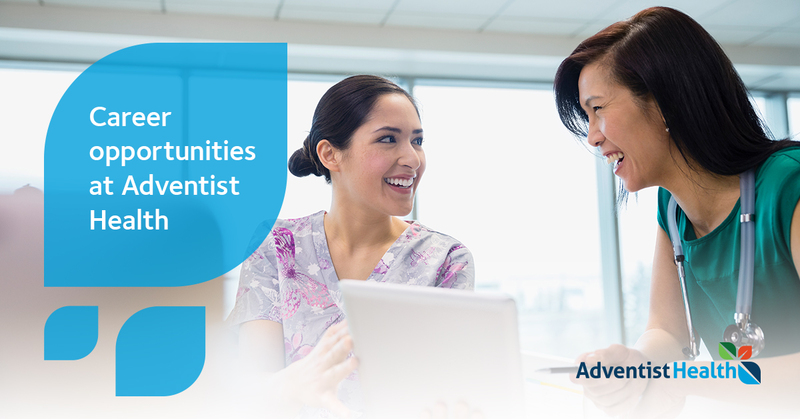 Join our Adventist Health White Memorial team as an RN, Surgical Specialist. These team members specialize in the unique needs of our surgical department, collect and analyze patient data, and work closely with patients, families, and other team members. Potential to earn up to a $12K sign-on bonus. Learn more.